Links! News! Excitement! Happy Dances! Exclamation Marks! Some of you might have witnessed me doing happy dances across various social media platforms yesterday evening, but I thought I’d share my good news over here as well: I’ve been made full-time at work! This is exciting for several different reasons: first of all, hooray, finally a living wage! Secondly, I feel extremely blessed to be able to make a living doing something I love — especially in the current economic climate, when full-time public library jobs are a bit like unicorns. It’s an enormous stroke of luck to have been able to secure one, and I’m so immensely grateful. This is a particularly exciting time at work, as we’re preparing for the Summer Reading Challenge (my first!). I love that being around more will give me the chance to get more involved, and perhaps even to start a couple of projects I could only daydream about up until now. And on a personal front, making more money means I’ll finally be able to save for a big trip I’ve been planning for years — I’ll hopefully see some of you across the pond next year? Movies, TV, books, the Web: 2013′s bests — so far at Salon gave me some reading ideas, but I was especially intrigued by Sarah Polley’s documentary Stories We Tell. Has anyone watched it? Also from Salon, some interesting data about the books readers abandon and why. Patrick Ness made some good points about writing for teens on Twitter yesterday, which were collected on Storify. The F Word reviews Joss Whedon’s Much Ado About Nothing. I watched this a couple of weeks ago but didn’t have the chance to jot down my thoughts. I’d be really interested in reading more commentary on the gender politics and the contemporary setting if anyone has any to offer, though *looks at some of you innocently*. Books Titles With One Letter Missing made me laugh more than it probably should have. Dear xkcd: how are you so consistently awesome? Lastly, Jack Zipes reviews Philip Pullman’s Fairy Tales From the Brothers Grimm and Sara Maitland’s Gossip from the Forest (a book I need to read yesterday) for the LA Review of Books. That’s it from me today. I still have a little bit of time until I actually start working full-time, so hopefully that will give me the chance to write All the Reviews. 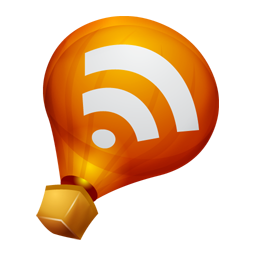 Oh, and out of curiosity, how is everyone coping with blogging sans Google Reader? I have to say that the transition to Feedly went better than I expected. The platform is different, but my reading habits and routine have remained the exact same. Wooooo Hoooo!!!!!! I'm so happy for you. Congratulations! They were smart to grab you! That's wonderful news - congratulations! Congratulations on going full-time!!! That's so exciting. And I'm about to start More Than This! I read a few pages the other night and had to lay it aside before I completely forgot everything else I was reading. It may have been an enormous stroke of luck that a full-time position came up, but it was not an enormous stroke of luck that you got the job, Ana. I can't imagine a person more deserving, and they're damn lucky to have you. <---ALL TRUE, AND DON'T EVEN THINK ABOUT DISAGREEING. NOT EVEN IN YOUR OWN HEAD. Yay! Congrats on being given full-time! That's awesome. Also, yay that you are loving Patrick Ness's new book! I've also been interested in Stories We Tell though I haven't had a chance to watch it yet. Yay, congrats on the job news!!! Congratulations, Ana!!! I'm very happy for you. Ana, that's awesome, the BEST NEWS possible! Full-time work!!! Oh, hugs and more hugs from Ottawa!! I'm so thrilled, from the bottom of my soul, for you. Congratulations, my friend. And a big sigh of relief, too. Congrats! That's great news. Yay!!! I saw Ness' rant, and honestly I agree with him 100%. Congratulations!! Earning a living wage doing what you really love is one of the best things in life. Congratulations!!! That's so amazing and you deserve it. Patrick Ness is awesome, and I'm so glad you're enjoying More than This. I have it on my Nook right now, but have been putting off reading it out of fear that it wouldn't be as good as Chaos Walking. I remember you had -- it seemed like? mixed feelings? about The Crane Wife? Congratulations on your fabulous news, Anna! That's wonderful. Ana I am so so so happy for you! Congratulations!!!! Yay! What a wonderful post! If your travels take you over to the San Francisco Bay area, let me know. You always have a place to stay here! Thank you so much, everyone <3 I feel like you guys have seen me through a lot, and it's wonderful to finally be able to share this news with you. Daphne, the West Coast of the US is definitely on my mental list of places to visit! That is so kind of you to offer, and I'll definitely let you know if I'm in the area. Needless to say, the same goes for you if you come to the UK. I'm so happy for you Ana! I knew it was just a matter of time and am so glad that you found a job doing something you love plus one in which you can hopefully share your thoughts and enthusiasm about books! Congratulations!!!! And SO JEALOUS you read More Than This. I'm assuming you've finished by now. I can't wait to get my hands on it!!! Congratulations on your full-time job! That's wonderful news, Ana, I'm so happy for you! Congrats on your job!!! It's rare to find one where you get to do something you love. I can't wait to watch Much Ado About Nothing!